A.E. Waite recommended this to the young Aleister Crowley in 1896 as the book he should read to understand the nature of the Interior Church. Karl von Eckartshausen was among the most unusual mystics of his day. He was both a fervent Catholic and a Theosophist in the tradition of Jacob Boehme. A convinced believer in the "Interior Church"-that mystical body of true believers, linked by spiritual experience rather than by doctrine-Eckartshausen sought to broadcast his unique understanding of the Way of Regeneration in Christ. 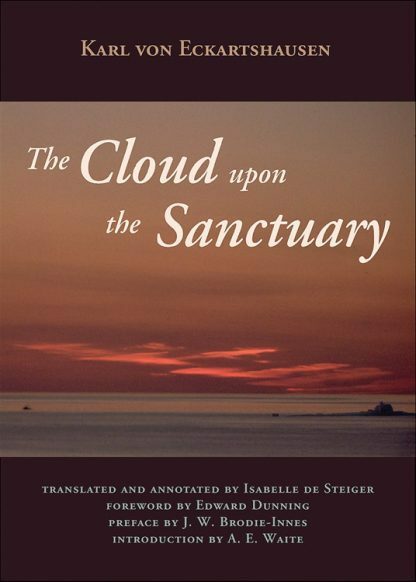 In The Cloud upon the Sanctuary, he succeeds beyond expectation.